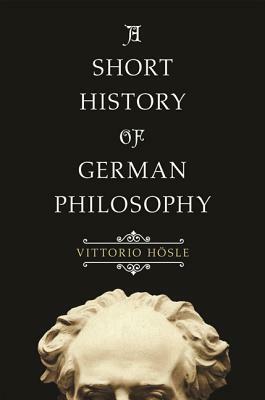 In an accessible narrative that explains complex ideas in clear language, Vittorio H sle traces the evolution of German philosophy and describes its central influence on other aspects of German culture, including literature, politics, and science, from the Middle Ages to today. A Short History of German Philosophy addresses the philosophical changes brought about by Luther's Reformation, and then presents a detailed account of German philosophy from Leibniz to Kant; the rise of a new form of humanities; and the German Idealists. The following chapters investigate the collapse of the German synthesis in Schopenhauer, Marx, and Nietzsche. Turning to the twentieth century, the book explores the rise of analytical philosophy; the foundation of the historical sciences; Husserl's phenomenology and its radical alteration by Heidegger; the Nazi philosophers Gehlen and Schmitt; and the main West German philosophers after 1945. Arguing that there was a distinctive German philosophical tradition from the mid-eighteenth century to the mid-twentieth century, the book closes by examining why that tradition largely ended in the recent past. A philosophical history remarkable for its scope, brevity, and lucidity, this is an invaluable book for students of philosophy and anyone interested in German intellectual and cultural history.